Who knows what she'll dig up? 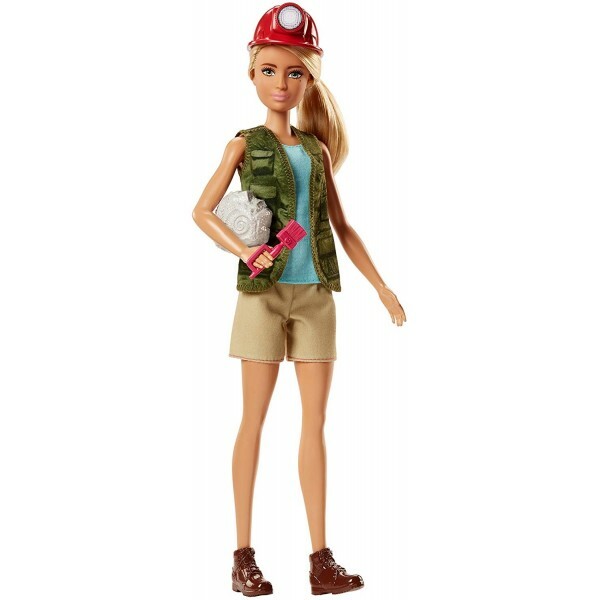 Get ready to look for a major discovery with this paleontologist doll from the Barbie Careers line! 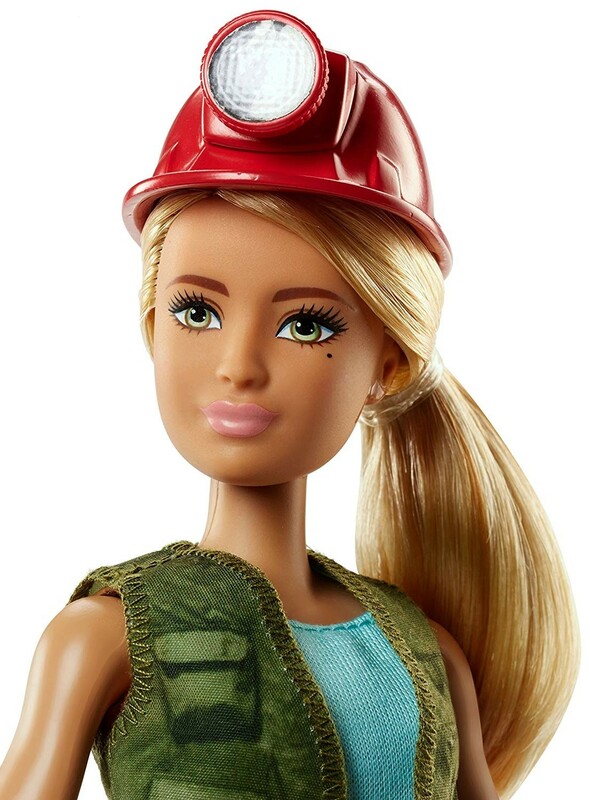 This doll is dressed for hard excavations, with an outfit that included a utility vest, sturdy work boots, and a safety-approved hard hat for tight spaces. She also comes with a shovel that she can really hold, and a fossil for her to dig up! 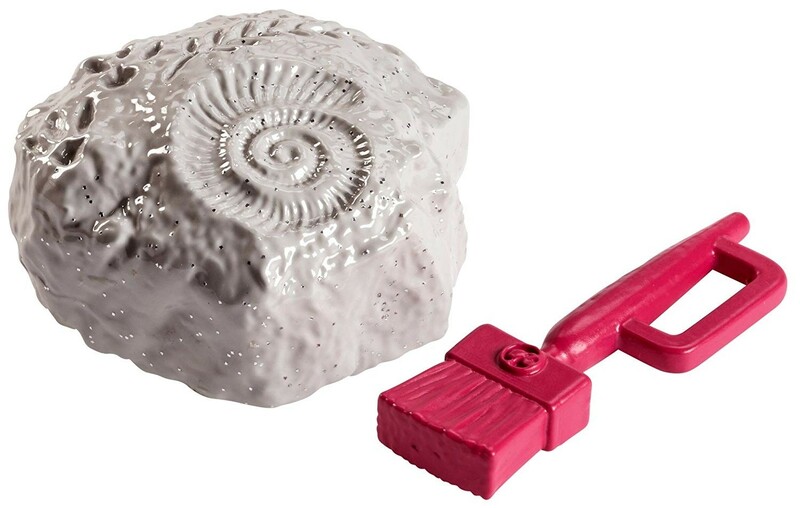 Dinosaur-crazy kids will love getting to imagine their own fossil finds with this doll.